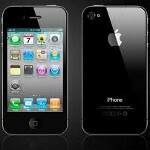 Smaller, less expensive unlocked version of the Apple iPhone 4 on the way? What do you do with a lot of leftover components from the Apple iPhone 4? If you're Apple, you use the parts to build a smaller, lighter and cheaper version of the iPhone 4. This is according to Bloomberg who says that Apple will offer the phone for an off-contract price of $200, which compares to the subsidized price for the 16GB Apple iPhone 4. Bloomberg's source says he had seen the device last year and that the lack of further information since that time might indicate that the plan has been scrapped. After all, to get a device to meet Apple's high standards and still come in at a price point of $200 off contract might require some serious slicing and dicing on the Cupertino based firm's part. The phone would be a dual-mode model (GSM/CDMA) with no word on 4G support, and is about one-third smaller than the current iPhone according to the source who has seen the device. Bloomberg also reported that Apple is working on technology called "Universal SIM" which would allow iPhone users to swap between GSM networks without having to switch SIM cards. Also, redesigned iPhone software is being developed to allow users to choose a network or set up their phone without the help from a carrier rep or a store clerk. If it's true it mean Apple business model=FAIL.